Eleven Magazine Competition – Wetlands Work! Wetlands Work! 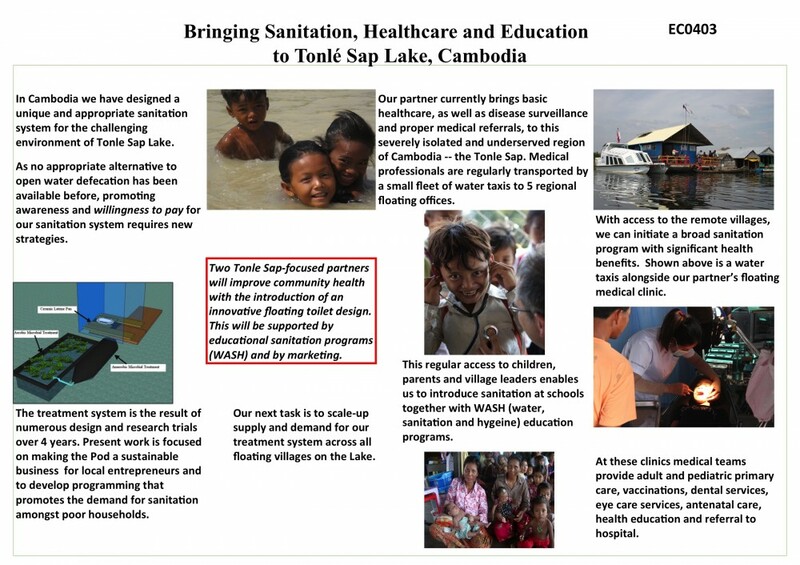 and The Lake Clinic submitted a team project idea to introduce sanitation in floating communities using TLC’s transport boats and their network of regional floating clinics on Tonle Sap. A huge international response has resulted, largely from university architectural design studios, for this Eleven Magazine Idea Competition to improve child health in floating communities on Cambodia’s Tonle Sap Lake. The public voting process has started — the WW!-TLC submission is ECO 403. AND we’d love YOUR VOTE! ← Wetlands Work en español!